Park Tae-Suk (Lee Sung-Min) is a lawyer. One day, he is diagnosed with Alzheimer’s. "Memory" takes over the tvN Fri & Sat 20:30 time slot previously occupied by "Signal" and followed by "Dear My Friends" May 13, 2016.
kdramaddict Oct 03 2017 8:01 am 100/10 A MUST WATCH! jisoo Dec 07 2016 2:29 am I was immediately drawn to the drama from the start and it is indeed a great great piece!! I loved Lee Sung Min ever since Misaeng and he impressed me further with his acting in Memory!! Junho and the secretary is also suuuper cute!! A total must watch!!!!! Yellowg Sep 24 2016 1:02 pm This is by far the best k drama that ive seen. 10/10 amazing cast and story. Sabrina Jul 13 2016 8:29 pm Just finished watching this drama. Probably not the best one around, but still a very touching and great drama! I love how Lee Sung Min's character slowly changed as the time went. But my most favorite character is Seo Young Joo♡ Kim Ji Su is a really great actress, and she played her character perfectly♡ I never thought Lee Sung Min & Kim Ji Su as a couple, but the chemistry is totally there! Anyway, I think everyone is quite obsessed with Dong Woo's death, which was happened 15 years ago, especially the mother. A son's death must be painful, but 15 years should have been heal some wound. Disagreeing with most people who say this drama has a quick and kinda bad ending, I think this drama ends beautifully. And the fact that Park Tae Seok said "I love you" to his wife in his voice record made me cry so much, it's so touching because he always appeared to be a not-so-lovely husband. asdfghjkl Jul 09 2016 8:36 pm I love this drama so bad i was able to finish it today. loksdsds Jun 30 2016 5:29 am This drama is absolutely amazing... everyone needs to watch it! Megux Jun 28 2016 9:51 am This is one of the best k dramas that ive ever watched... amazing cast...loved every minute of it! Stephanie Rountree May 08 2016 1:56 pm This is one of the best dramas! Lee Sung-Min's acting is incredible, as always! Kiyomi Mori May 08 2016 12:44 am Such a fantastic drama! Worth watching. Great writing & excellent cast. Kathleen May 07 2016 11:34 pm This movie was very good! So sad and a great story line. I miss Korean movies like this! However I did not enjoy the ending! It was too fast, skipped important events that was covered in the story. Such a disappointing ending! gt May 07 2016 11:29 pm Great show! Forgiveness instead of revenge. gQx Apr 30 2016 8:48 am whats the song at the end of episode 13? where can i find it? what s its name? Anti Apr 24 2016 8:38 pm Recommended Drama!!! Must Watch !! miss_myeon Apr 24 2016 10:33 am and of course uri tae seok lawyer nim.. lee sung min such a great actor.. really great actor. i cried a lot when watched ep 12.. i love seo young joo character too, such a super wife and super mom..
once again .. hwaiting memory !! miss_myeon Apr 24 2016 10:26 am this is the best drama which has alzheimer theme. another korean drama which full of romance and comedy its interesting too.. but this kind of drama, teach us about many things, especially to love our family and do some good deeds,  do something we wont regret. many good lesson from this drama. sculli Apr 23 2016 8:54 pm good acting in this drama, not too many main cast out of place. 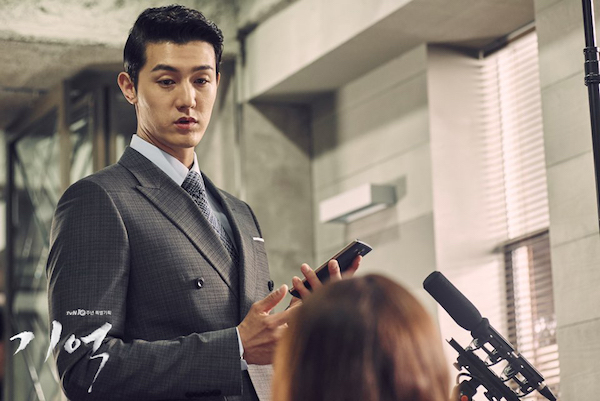 even some unknown like yeo hoehyun is quite good, pretty boy with evil conscious, hope he redeems his character late on. Akajishi Apr 22 2016 8:41 pm This is a goooooood drama. I've never cried while watching a kdrama before but this was exceptionally moving. At the same time, I really enjoyed watching every episode. Impressive acting of Lee Sung Min, he is really a great great great actor. 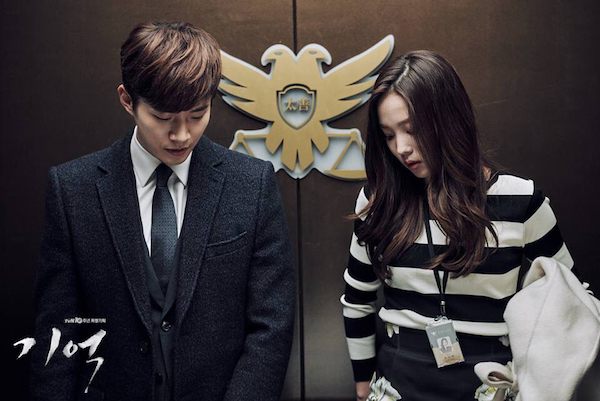 And by the way, what a irresistibly adorable relationship between Junho and Yoon So Hee. pinecone Apr 18 2016 12:24 pm this drama is more about family Remember is about judicature, ascendancy, manipulation, etc..
pinecone Apr 18 2016 12:14 pm i wanted to watch this drama because i'm a fan of Yoon Sohee and now i've been watching it because of my interest towards the plot. i love this drama! ps: i recently watched 'Remember War of the Son' and the popular alzheimer topic surely got me like "what the heck?!?" but i realised it soonly that the plots are totally different. macci Apr 16 2016 10:06 pm lee sung min is so good, an hour watching him goes by so fast. they can lose the sappy ost though. THADI Apr 10 2016 12:00 pm completed 7 episodes, wonderful drama. it is a shame that people are under appreciate this drama and keep repeating about Alzheimer..Remember is completely different to this one and this is really interesting than remember it seems. Completely different plots. Also, this is way better than boring Descendants of the Sun. Great acting, good plot about a man who is fighting for his family. Bouchra Siroua Apr 08 2016 11:32 pm I don't know why people keep insisting on comparing between memory and remember war of the sun, okay the two dramas are treating alzheimer but the plots are totally and completely different. One has nothing to do with the other! So please stop comparing they are both great dramas with amazing cast, I loved remember, the actors did a great job and i'm not ready to forget it and now i'm enjoying memory it's one of the best ongoing dramas so far and i'm sure that I won't forget this drama also! Sya Mar 28 2016 5:38 am I agree with @Light . Actually this drama has so much more than just Alzheimer's. 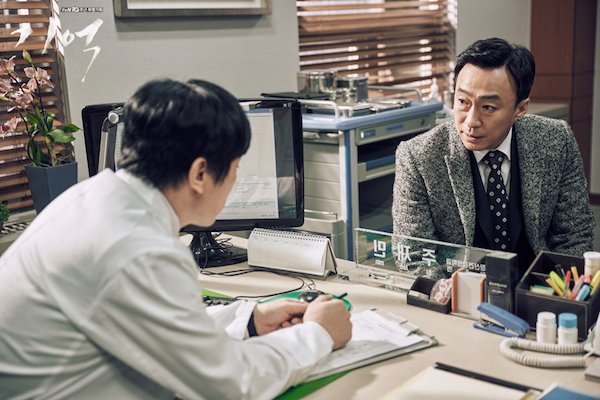 The plot is very interesting as the lead has so much more story to convey about him rather than just his disease and lawyer cases and that definitely will make you feel mysterious as well as curious. PRINCESS Mar 24 2016 7:28 am Long wait for the next episode , only 2 days a week on air, should be 5 days a week. Light Mar 23 2016 1:53 am When I saw the rating of this drama I was shocked. It's unfair to give such a low rating if you haven't watched it and just base your rating on a comparison. Yes, Remember has a (slightly) similar story and yes, at the moment everyone is going crazy about DotS. On to my opinion about the first two episodes: I actually really liked them. Even though we find out about Park Tae-Suk's disease right at the beginning, there seems to be so much more than just the Alzheimer topic. To me, this drama seems to be a bit on the mysterious side, actually. I don't want to add any spoilers, so I'll just end my post here. If you haven't started watching yet, you should give it a try! siwan Mar 22 2016 9:38 pm this is definitely better than Remember, actually comparing the two is insulting to this drama. siwan Mar 22 2016 9:14 pm one minor gripe with the character lee ki woo, when the script is intelligent and the actors are great, that is to say, not a melodrama, why use stereotype like spoilt evil good looking chaebol who collects gundam, surely a normal looking character would do a better job of portraying conceit and selfishness without the distraction of the flashy stereotype. siwan Mar 22 2016 7:22 pm another of their funny joke, law firm's name is 'too nice', tae shin, thats written on the wall behind the director's desk. drama addict Mar 22 2016 2:57 am @gt Lee Sung-min may be not your typical korean pretty boy, but he's seriously good actor. People gave credit to Im Siwan in Misaeng but I'd say he's the best actor in the drama. looks like someone is learning about what actually makes a good drama and that acting is more than skin deep. good for you. gt Mar 20 2016 11:16 am Initially I was put off by the ugly lead and low ratings but it got better with the 2nd episodes. This is a show with some bite in it. I will give it a go. dumdum Mar 20 2016 5:42 am for poepl who can appreciate a quality story, this drama and the one on jtbc are the goto dramas at the moment. no need to get upset. let all the teenyboppers and ahjumma fight over who is prettier between song joongki and yoon seung ho, or who ships who. their 'analysis' of those dramas for for good laugh. siwan Mar 20 2016 2:12 am guess its their inside joke to make the front reception of a law firm look like jail cell. high hopes for the current korean cable networks dramas. 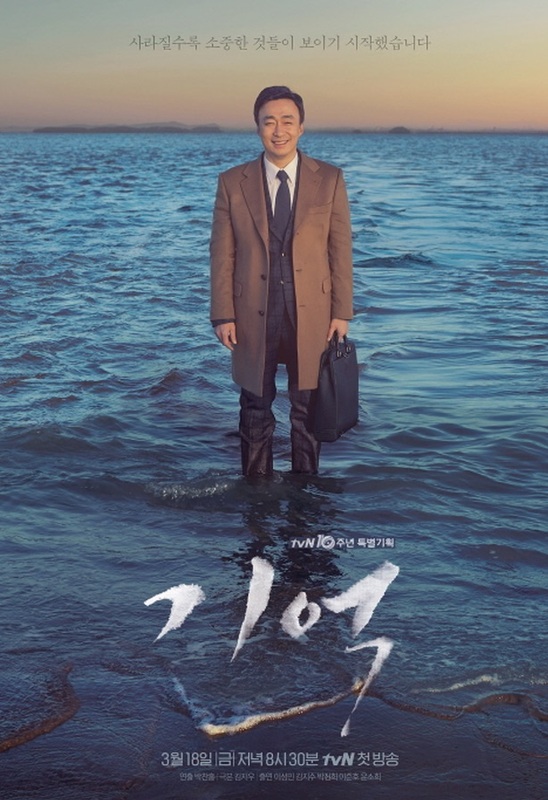 even if this is only half as good as misaeng, we are still in for a treat. nomnom Mar 18 2016 6:42 pm with a few exceptions, tvn doesnt disappoint, hope this is the case here. a drama that doesnt rely on pretty faces or chessy overseas production is generally a good sign, especially with mr charismatic lee sung min. for unknown reasons, korean dramasthemes do come in pairs, lets hope this is the better of the two. Nikaa Mar 18 2016 12:10 pm I was so angry when I saw what the drama is about... It looks like a COPY of my favourite drama Remember... I can't be sure because I haven't seen it but if I'm right... ugh why can't some people have their own ideas!!! Red Velvet Cake Mar 09 2016 8:09 am Watching this coz of Lee Junho! Ray Mar 04 2016 5:27 pm He's a great actor I'm sure he will be so good in his role..
rolmaths Feb 13 2016 2:54 pm same as remember????????!!! suk2014 Feb 05 2016 10:22 am @GreenEyedBandita: nothing accurate when its comes to fiction. Even John Green can create cancer treatment in The Fault In Our Stars. If they can deliver the feeling, Im okay with it. If i want that accuracy i need to study medical or pyscology. But im not interested in it. My passion is just for fiction. GreenEyedBandita Jan 23 2016 12:10 am @suk2014 All three of the drama's dealing with mental illness were entertaining but completely medically and ethically inaccurate. So far the alzheimer's drama's have been wonderful to watch but have taken serious poetic license with the disease. Korean Drama's rarely even attempt to be medically factual. Start by Bubblegum, followed by Remember. Next is this, Memory. I hope this three can make me understand about Alzheimer patient more like I get a lot of information about psychiatry world from It's Okay, That Love, Hyde Jekyll, Me and Kill Me Heal Me. monstar ❤ Dec 13 2015 10:36 pm So many dramas about Alzheimer's lately. Hope people who actually have to deal with this in real life find inspiration. Sad reality. bii Dec 13 2015 10:49 am the dramas that this guy is at is always realistic and touching like misaeng im sure there are other lead actors like in misaeng im hoping hyun bin and lee yo won will be one of the leads omg so excited hyun bin's action movie will air at 2017 so he must have time for this even tho i want him to rest but i have a feeling this drama is good!!!! lee catnip Nov 29 2015 8:52 am Glad award-winning actor Lee Sung Min is taking the lead. This must be a touching story; can't wait to see this. diddiex Nov 03 2015 2:24 pm Lol, same plot as the drama Remember with Park Min Young.